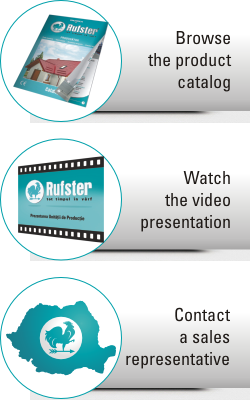 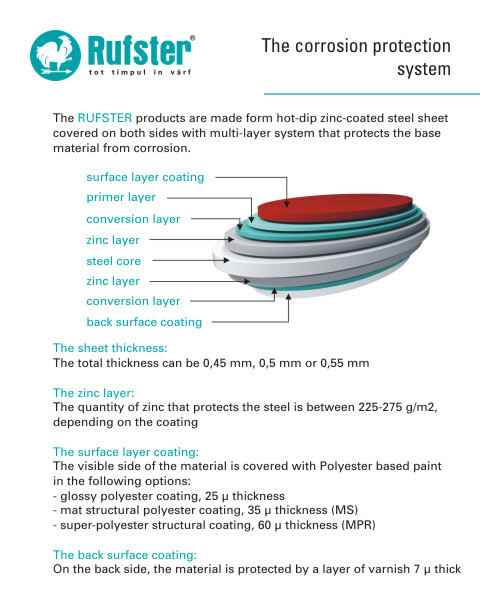 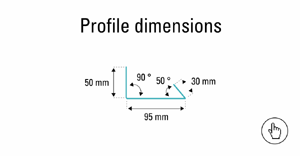 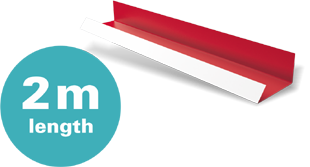 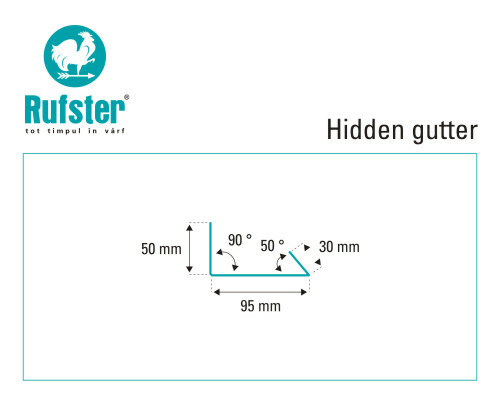 The RUFSTER hidden gutters are manufactured on the abkant machines from slitted flat sheets, being made from the same material as the main panels. 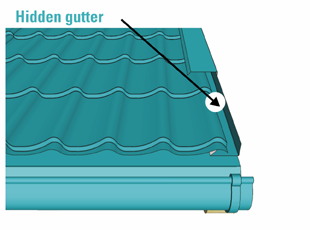 The hidden gutters are used especially on flared roofs, where the gables are not perpendicular to the eave line. 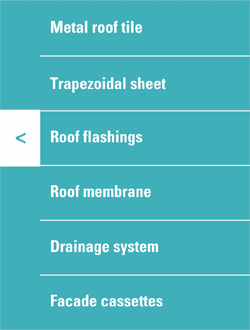 They are fixed under the main roofing sheets and the barge boards guiding the rain water towards the gutters.